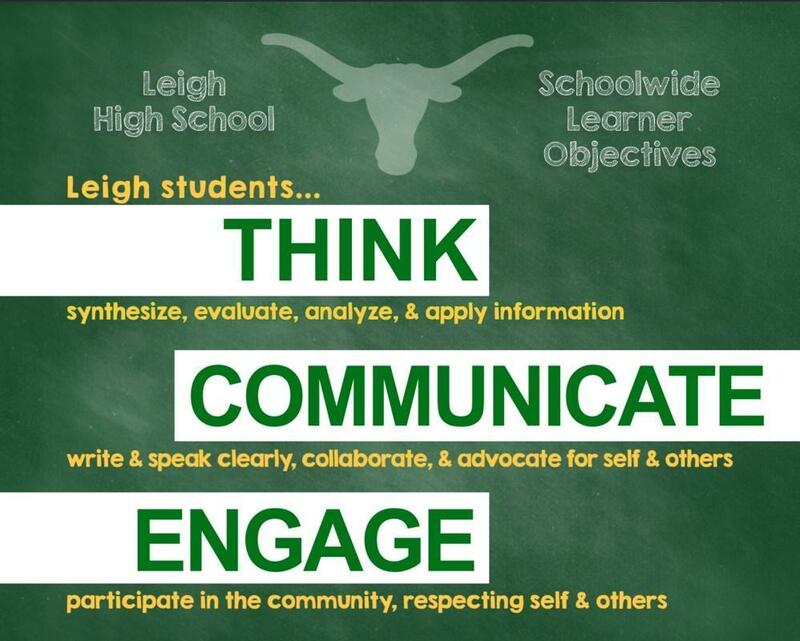 Leigh's vision is to foster a learning community where we all strive for continual growth. Leigh’s mission is to create a safe, caring learning environment that prepares students for success in their post-high school lives. This includes engaging in meaningful activities, using appropriate tools, thinking critically, problem solving, and applying analytical skills. Students, staff, and parents share the responsibility for advancing the school's mission.